Its amazing the difference a simple inanimate object like a mirror can make in changing the dynamics and look of a room, any room. The mirror is a design trick that is as old as oak, known as a triple threat – able to bounce light within a room, double the depth of anything in front of it and also adding a sophisticated style. Something very few surfaces can do as successfully. Lighter mornings and evenings are here, why not make the most of it and bring some of that extra light into your home. We’ve got couple of tips and tricks for inspiration too. Adding a mirror to the smallest room of the house, or any room lacking light such as bathroom can add the illusion of depth and size. Placing a large mirror opposite the actual window will bounce light and add more natural light. 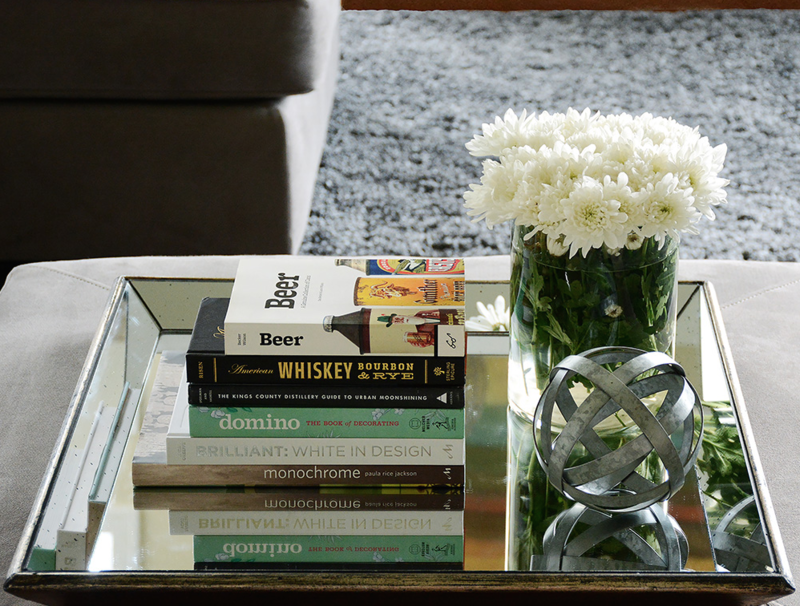 Make a statement by using different sized mirrors to create a montage. By using small vintage mirrors grouped together on a wall you can add light, depth and a feature in one go, triple threat! This is the easiest way to use the advantages of a mirror. By placing a mirror behind a lamp you can make the soft glow of the lamp go further, great on an evening. As an added bonus you can use a lower watt bulb and create more light. This trick is great for vintage style tables, using a small-panned mirror or a small vintage window framed mirror adds dimension. Placing candles on top will bounce the flickering light too – bonus. 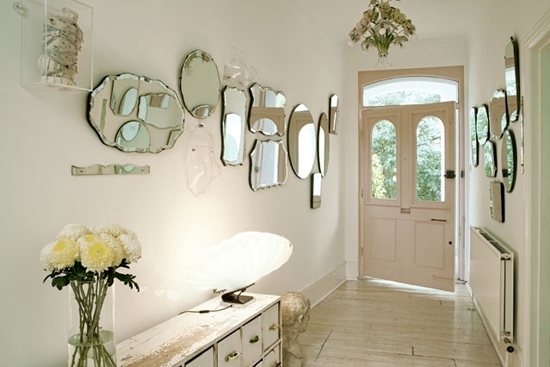 Create a bold statement by fixing mirrors into the alcoves or for the truly brave – a mirrored wall! If you are struggling for ideas on how to use the space in your alcoves, add mirrored panels. This is ideal for a space that doesn’t usually receive much light, place a table and lamp in front and create a beautiful reflection of your home. 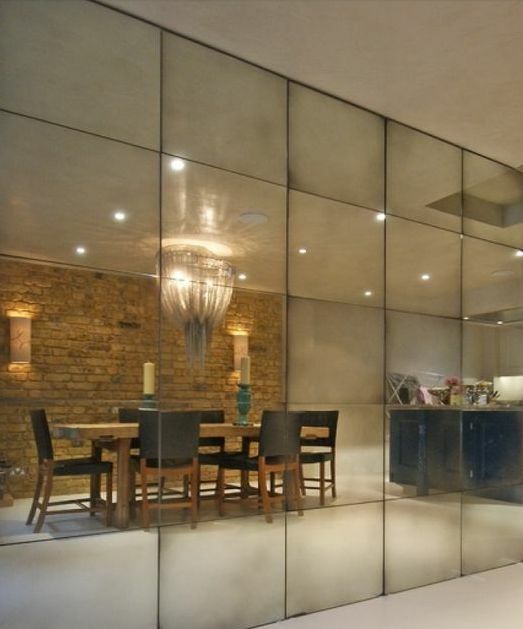 Bring some serious WOW factor and create a mirrored wall! 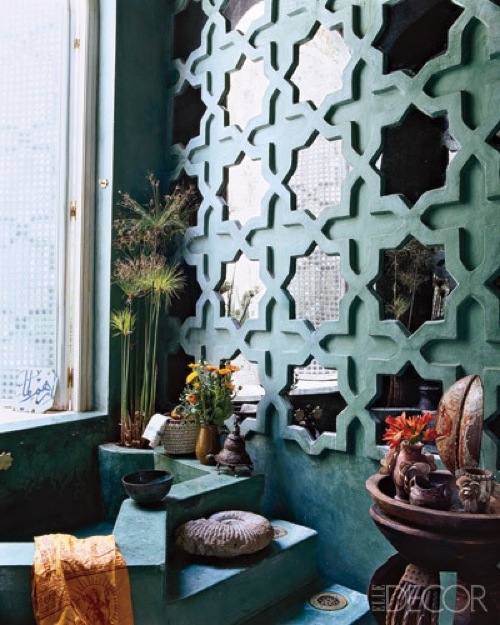 Create a geometric design to add a further statement and awe. 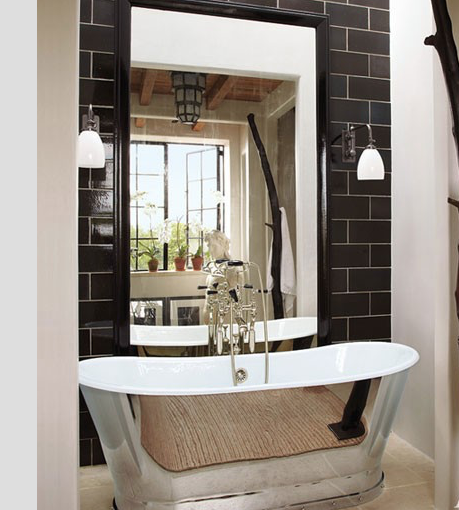 For some more mirror inspiration visit us online or in store to see our brilliant collection.